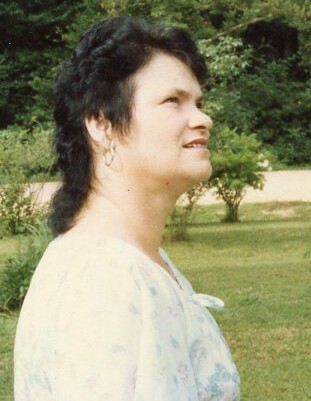 Brenda Joyce Judkins, age 70, of Lawrenceburg, TN passed away Thursday, March 28, 2019 at Vanderbilt University Medical Center in Nashville, TN. She was a native of Ocoee, FL, retired, and a member of The Way Church. She was preceded in death by her parents Perry Lee Patterson and Ava D. Lee Patterson. Surviving are daughters, Pam Lovell of Lawrenceburg, TN, Tammy Marks of Waynesboro, TN and Leah Melton of Lawrenceburg, TN; sons, Craig Melton of Lawrenceburg, TN and Dallas Judkins of Lawrenceburg, TN; seven sisters; one brother; 10 grandchildren; and 12 great-grandchildren. Arrangements are being handled by Neal Funeral Home, 231 N. Military Avenue, Lawrenceburg, Tennessee. The family will receive friends from 11:00 AM to 1:00 PM Monday, April 01, 2019 at Neal Funeral Home. Funeral services will be conducted at Neal Funeral Home at 1:00 PM Monday, April 01, 2019, with Larry Creekmore officiating. Interment will follow at Lawrence County Memorial Gardens in Lawrenceburg, TN.